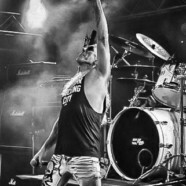 From his early days of fighting with belligerent drunks that didn’t understand the way he dressed or looked while performing with Twisted Sister, to his wilder days fronting the band through the eighties and even to his larger than life performance while testifying on behalf of all metalheads before the P.M.R.C. 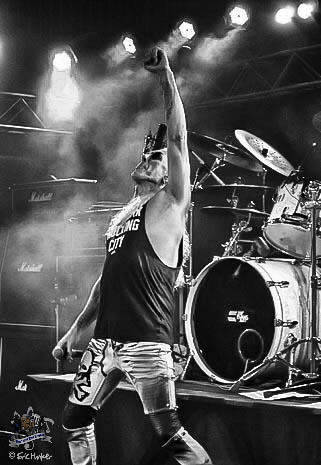 (Where he crushed it)- Dee Snider has always fought for what he believed in…Metal! With his new album For The Love Of Metal on Napalm Records and a new tour which recently hit Pittsburgh’s Jergel’s, he’s out to prove he’s got a whole lot of fight still left in him. He’s looking great as well. It’s hard to believe that he is 63 years old cause he jumps around like a twenty something year old. Which just adds to his already hectic set list, face it the man is the consummate performer. He was flawless as he ripped out “You Can’t Stop Rock N Roll,” “The Kids Are Back” and “Under The Blade.” He was larger than life as he prowled the stage, trying to make a connection with all the people he could, to give them a night to remember. There were people there in their sixties and people who were only six and all of them where given a show to remember. They closed the show with a very cool cover of AC/DC’s “Highway To Hell.” Dee then said his very thoughtful thank you’s before exiting the stage from a great show.